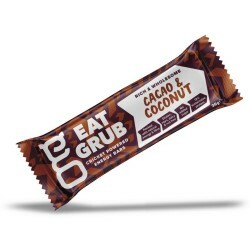 Friends Shami and Neil brought Eat Grub into being, with their shared passion for encouraging people to embrace insects as a food source. Shami’s first taste of insects was on a trip with WaterAid in Malawi where he ate flying ants (termites) with chilli and lime. Neil’s interest in exploring new foods was kindled at the tender age of 19 when he was diagnosed with Crohn’s disease. 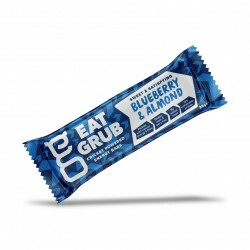 Edible insects are potentially brilliant news for sufferers, thanks to the abundance of nutrients they contain, coupled with their low levels of complex fats. 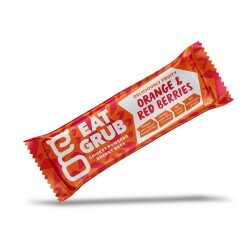 Eat Grub bars are special, not just because they are made from cricket flour, but because they combine great nutritional values with amazing taste. 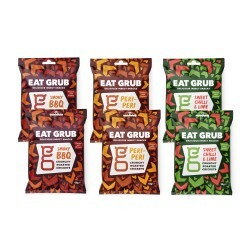 The team at Grub have been supplying their insects for the Economist's street campaigns.